Labeling Fitness. Labels in Healthcare and Fitness. Digital label systems provide businesses with shorter runs and the ability to produce multiple SKUs and quick response (QR) codes. A number of businesses seek labels on demand from food and beverage to pharmaceutical industries—keeping print providers busy with digital label production. Founded in 1970, SCN Printing Inc. initially serviced the mid-South in North Little Rock, AR. The shop started with five employees in an 8,000-square foot workspace and originally offered lithography. SCN Printing now has 35 employees and a 55,000-square foot workspace. The shop offers doming, digital printing, flexography, label design, and laser cutting while shipping across the U.S. and internationally. For over 45 years the shop has produced industrial high-performance graphics in the form of labels. Its label design department helps clients choose designs and materials for the most effective marketing campaign. SCN Printing prides itself on offering high-quality parts, great customer service, and one central location for all its customers’ labeling needs. 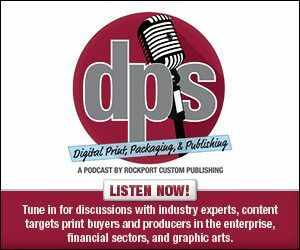 Scott Adams, VP, SCN Printing Inc., believes the biggest benefit of digital label production is shorter lead times, little prepress, and a consistent look throughout the parts’ life—no matter how many times it’s produced. “Since the information is saved into the digital file, the parts look identical each and every time,” he says. The shop creates labels for a variety of industries, but Adams believes it receives the most requests from products that involve moving parts. “It’s necessary to have labels that list all precautions and warnings needed in order to operate machinery without injury or risk,” he explains. SCN Printing often uses 3M and FLEXcon materials for label media including vinyl, polyester, and polypropylenes. Adams says the shop chose these based on its industry leading technologies and knowledge. For label production, SCN Printing uses a Durst Tau 330 UV inkjet system. The Tau 330 has a print speed of 48 meters per minute and is available in 13 inches and 7.9 inches. “We chose the Durst because it offered us the best print quality at the fastest speeds with the best customer service around. They are a family-owned business, much like ourselves, which was important as we knew they would focus on servicing their customers with the upmost importance,” shares Adams. For the past ten years the shop has used a Spartanics laser die cutting machine, but with the purchase of the Tau 330, the shop purchased an inline Spartanics LFS. The LFS adds overlaminate, laser die cut, rotary die cut, a secondary laminate, and slits and sheet cuts. According to Adams, this improves label production on many levels. “It has the ability to eliminate die purchases and costs to the customer but also allows faster turnaround times as all files are loaded digitally and can be produced in a matter of minutes,” he says. Its features allow customer flexibility for changing sizes and shapes without the need to order new tooling. Despite SCN Printing’s success with label production, Adams finds challenges with keeping the machine running all day, every day. “The speed of the machine and the ability to batch your prints, it speeds through our work very quickly each day,” he explains. In September 2016, Icon Health and Fitness approached SCN Printing for three clusters of labels. Headquartered in Logan, UT, Icon Health and Fitness produces equipment for treadmills, stationary bikes, and ellipticals. Its products include wearables, online fitness solutions, and footwear and apparel for fitness. The customer requested that each label cluster was a different size and shape but required the same barcode, quick response (QR) code, and serial number. “Each cluster had unique variable information on three different labels,” explains Adams. The labels were printed on the Durst Tau 330 using stocked material. Adams says the stocked material prints incredibly well for ease of scanning the barcodes. The labels were finished with the Spartanics LFS for inline laser die cutting. Partnered with Durst for an automated workflow, Spartanics LFS fully integrates with the Tau 330. Installation included one label inside and outside of the box and on the workout equipment. “The consumer would take a picture of the label and send it in using the information provided on the label to register their product for warranty,” says Adams. The entire project took three weeks to complete from job submittal to installation. A total of 200,000 square feet of labels was printed. According to Adams, the biggest challenge of the label job was setting up the variable information. “It would have been impossible on a traditional printing press. Digital was the only way this job would work,” he says. The three clusters of labels were completed on time for Icon Health and Fitness. Adams says the client was 100 percent satisfied and implemented this label process for all of its equipment. High-speed, digital printing is where Adams sees his client work heading. Finishing equipment and print engines targeted at the digital label space allow print providers to create personalized, on demand labels with fast turnaround times. Click here to read part one of this exclusive online series, Cheers to Labels.